Deadpool is inarguably the craziest comic book hero ever created. Any Deadpool t-shirt must be as fun as this character and this one makes it happen. First of all, it's red and red is Deadpool's colour. Then this splash head pattern is an awesome way to show Deadpoo's mask. 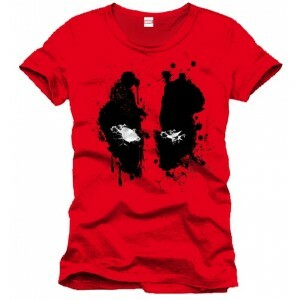 So, there's no way around it, this is the Deadpool splash head t-shirt you need if you're a fan. Si vous choisissez de recevoir votre "Deadpool T-Shirt Splash Head" via Lettre Suivi, les frais de ports seront seulement de 2,95 € ! 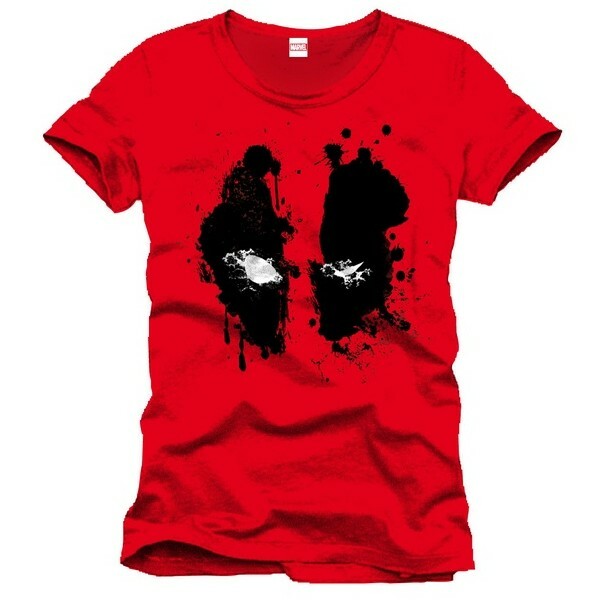 Ce Deadpool T-Shirt Splash Head est en stock dans les tailles M/XL !